This past week, I have been creating all of our paperwork and working on our website (http://homeshield.wordpress.com). I know you can’t see very much on the site just yet, but that is because I have been working on the back end so that all of the pertinent information will be included right off the bat. As I write this, I am enjoying a lazy Sunday afternoon. I am sitting in my home office with the window open to a beautiful warm breeze while listening to Enya on a CD. 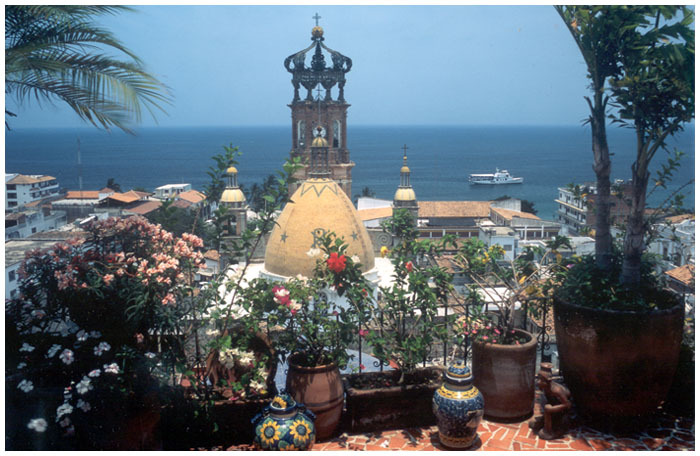 I have a large photo on my wall of Puerto Vallarta… overlooking a balcony to the ocean… it is very peaceful and that is how I feel right now. My sheers on the window are blowing in waves with the breeze and the sun is softly cascading through in a shimmery glaze. It just makes me want to lay out on a white beach and feel the stillness and warmth of the day on my skin as peaceful sounds of waves cresting the shore and seagulls echo from the distance. I can just imagine the rustling of palm branches from behind and the faint sound of chatter from families a short ways away slowly drifting as they tend to, right before you fall to sleep. It reminds me of when I am on an airplane and the sound muffles as the cabin pressure changes. I have been trying to figure out a way to balance my activities as they seem to grow daily and I think I have figured out some ideas. I am going to try to update my blogs and catch up on my twitter followers, etc. on Sundays. I think that if I “schedule” time for those things, then they may actually get done, LOL! I know that if I don’t, they surely will not happen. I envy those who can sit down for a few minutes and punch out some magnificient post that is so thought provoking, etc. and watching them… its as though they don’t even think about it… it just comes. Maybe that is the perfectionist in me that doesn’t allow me to do the same. I am actually pushing myself to just write, now. It reminds me of when I was in school and our teacher would have us “free write” in class. They would tell us not to think, but just to write whatever came into our minds… in the end, you may just end up with something. If nothing else, you should be able to get to know yourself better because it is “true”.